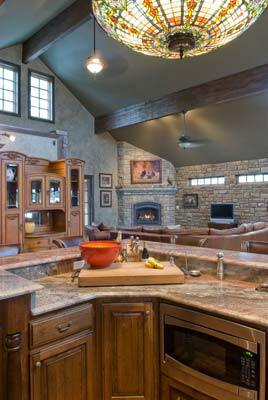 About Us | Prince Custom Homes, Inc. Prince Construction was established in 1972 by Thomas and Linda Prince in Kansas City, MO. While residing in Kansas City they were always drawn to Table Rock and the Shell Knob area they had grown to love with their family. 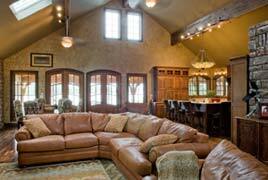 Over 30 years ago they built their first custom home on Table Rock Lake and haven’t looked back. Since then this family run business has built hundreds of custom homes and lake homes in the area and have developed many residential communities. We use the latest in design build technology and green building practices, enabling us to be on the forefront of our trade. Our projects vary from simple to simply spectacular, we specialize in custom built lake homes and residential master planned communities. We have extensive knowledge of building homes around the lake and know what it takes to get the job done right. We pride ourselves on our ability to form productive relationships with our owners and build everything with honesty, integrity, and a solid commitment to quality. We never sacrifice quality for profit. If you can dream it, we can build it, we have been creating happy homeowners for over 30 years now. We have Designed, planned and built many residential communities . Including Four Lakefront Residential Communities right here on the lake. One of those being an 86 acre Lakefront Airpark a gated fly-in Community surrounded by water on three sides. All communities planned and engineered with central utilities, paved roads, community boat docks, and recreational amenities.